We live on the Monday side of Easter. As we gather for worship on April 21 at 10 a.m., we know how the story goes. In Jerusalem, Mary Magdalene and the other women approached Jesus’ tomb and found it empty. He was not found in the place of the dead. He is alive! It is a truth we celebrate each Easter and live into, but a truth that can become so second nature that it prevents us from truly experiencing the promise of the resurrection. I want to invite you to think about what took place from Mary’s perspective. They arrived on Sunday believing all hope was lost. It was just a few short days earlier when they saw Jesus executed on the cross. They had placed all their hope in Jesus as the Messiah, but never expected him to be crucified. They were disheartened, saddened, grieved, and, perhaps, feeling confused. There was a deep love for Jesus, still, but they went to the tomb to finish preparing his body for burial not expecting God to do something new in that moment. Each of the women were the first witnesses of the divine truth of how God is up to something new in the world. For when they heard the message of an empty tomb and that Christ is alive, they became witnesses of God’s creative work come about in a new way. In that moment, the news of the resurrection raised them from despair to people of hope. They experienced how God was up to something new in the world and they wanted to be a part of it as they ran out to tell the disciples what they saw. What about us? Do we desire to be part of God’s creative work in the world today? The resurrection’s promise is of how God is always doing the work of taking what seems broken and beyond all hope and bringing new life and grace into the world. That is the joy of God’s love we celebrate at Easter and live into through our ministry here in Princeton and throughout the world. 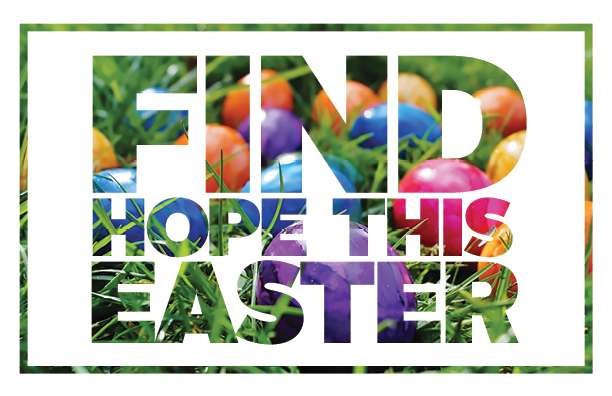 This Easter, I want to invite you to be part of God’s creative work by supporting two important organizations in our community and throughout our connection that are seeking to be witnesses of God’s creative work in the world. The first is King’s Kitchen, which seeks to provide a warm meal for students during the summer months throughout Caldwell County. The second is Grace Kids, which is a unique ministry in Louisville aiming to build a church for kids in some of the poorest sections of the city. Both ministries represent my belief that God’s new creative work is often at its best when it changes a child’s life. Our Easter offering will be split between these two important organizations. I pray that you will participate in this special offering on April 21. You may do so by writing a check to Ogden Memorial UMC and writing “Easter Special Offering” in the memo line. God is truly up to something in the world. I pray this Easter we may not only experience it, but be willing to join in that work together.